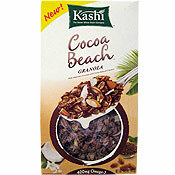 Our Cocoa Beach granola is a sweet escape from the ordinary - the treasures of the tropics combined with tasty nuts bring you to a place of pure eating enjoyment. We start with our heritage Seven Whole Grains, harvested at their peak and then gently rolled to preserve their nutty flavors and unique textures. Natural cocoa made from seed of the tropical Cacao tree is mixed with our grain blend and then baked into chocolaty whole grain clusters. 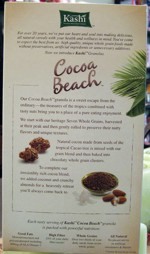 To complete our irresistibly rich cocoa blend, we added coconut and crunchy almonds for a heavenly retreat you'll always come back to. 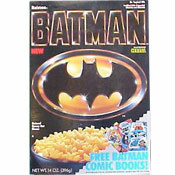 Click here to see all cereals from Kashi. 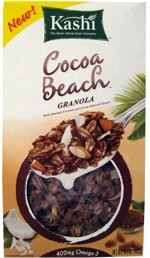 Cocoa Beach Granola Cereal has been reviewed on MrBreakfast.com.